Today is Lisa Lara's special day, and a bunch of us Pacific Northwest Crafters are getting together to help her celebrate! You may know Lisa from her blog - Lisa's life lines where she shares her creativity with the rest of us. She is an amazing colorist, and I love to watch her talent when we get together on crafty days. The flowers are from Paper Smooches and I used my HA ombre inks get the fun shading. I white heat embossed the flower centers and popped them up with some foam tape over a dry embossed dotted background. To create the 'happy' I swiped the ombre ink pad over some white paper, and then die cut the word. This results in some shading for your die cut words. Be sure to hop around to the other PNW crafters who are also celebrating Lisa's Birthday and see what they have in store. 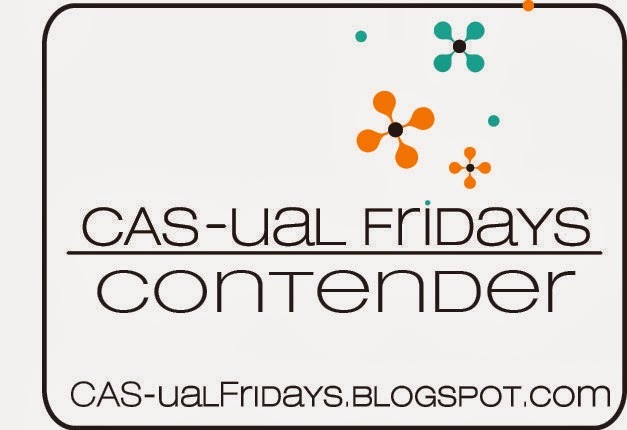 Then head over to Lisa's blog and wish her a very happy birthday! Happy Birthday Lisa, I hope you have an amazing day, my friend! Day 5 in class was all about Cute and Whimsical!! Such adorable projects they shared, I just loved them all. I based my card off of Nicole's cute snowbank scene. I used the new HA stamp and cut set - Santa's Elves. So cute!! I colored the cute elf with my copics and added him to the snowbanks along with some presents. The snowbanks were cut with the Lawn Fawn stitched hillside borders. I tried to add some snow to my ink blended background by stamping with white pigment ink like Nicole showed in the video. I'm not sure why it didn't show up that great - maybe I need a different white ink?? But overall, I think this it turned out really cute! The little elf is all ready to help Santa deliver those presents - if only he can find them in all that snow! I hope to make a few more cards in the Cute and Whimsical style - they are so fun! I am catching up with my 'homework' from the online card class - Holiday Style. Today's card is from day 3 where the theme was Classic and Elegant. I had a different idea in my head when I started this card - but I still like the way it turned out. The background is HA Winter Trees Scene and the sentiment is from the new Holly Jolly stamp set from Essentials by Ellen. First I had the vellum layer the same size as the card, thinking it would soften the background. But then I wasn't sure how to attach the vellum piece to the card!? So I thought of cutting a tag shape instead. I used the Avery Elle circle tag die and was able to use a glue dot hidden behind the ribbon to attach it. My first attempt at the sentiment was to emboss it in gold, trying for more of the classy/elegant look. Somehow the gold didn't look quite right, so I ended up with a white sentiment instead. Thanks for stopping by! Hope you are able to catch up with your class homework this weekend too! 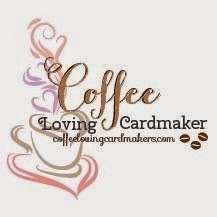 I am sharing two cards I made for the online card class - Holiday Style. The first day was all about clean and simple. 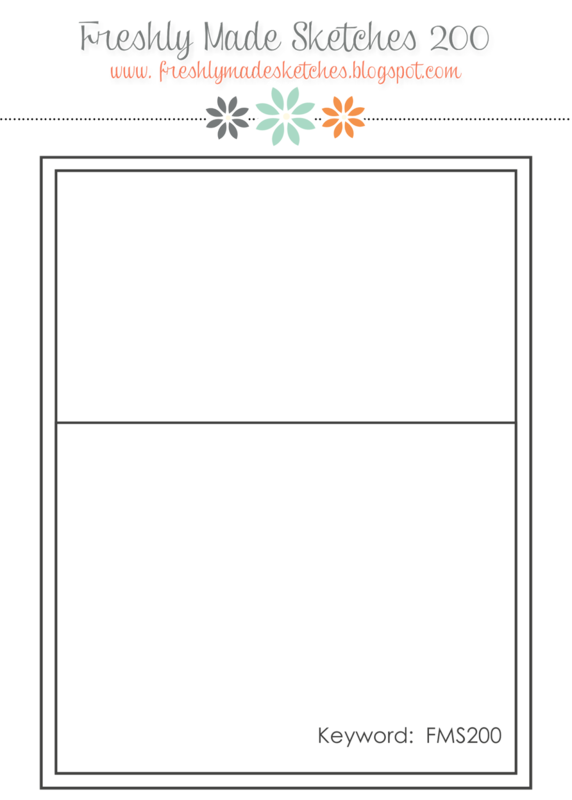 Laurie showed us how to create a card using the rule of thirds. Blend color on one third of your card and leave the other two thirds white, but with some interest. I added score lines to my white space to add that interest. Both cards used distress ink for the bottom portion. The red card's sentiment is HA and the poinsettia is from spellbinders. The blue card's sentiment is PTI and the snowflakes are Lawn Fawn. These were fun to make, and pretty easy too! Today I am sharing another card made for the share handmade kindness challenge. I made this for a friend who used to live here in the Seattle area, but has moved out of state and misses the beautiful Pacific Northwest. To make this card, I started by creating my sunset with the Gansai Tambi watercolors. I diecut the Seattle skyline from some dark navy paper, and white embossed my sentiment. It's hard to tell in the photo, but I added some diamond stickles to the edge of watercolor panel with a tip I saw Julie Ebersole do on a Hello Monday video on the Ellen Hutson blog. It is a nice way to add just a touch of sparkle without overwhelming the beautiful background. Both the sentiment and the die are from Impress. I'm sure my card will bring a touch of kindness to my friend. 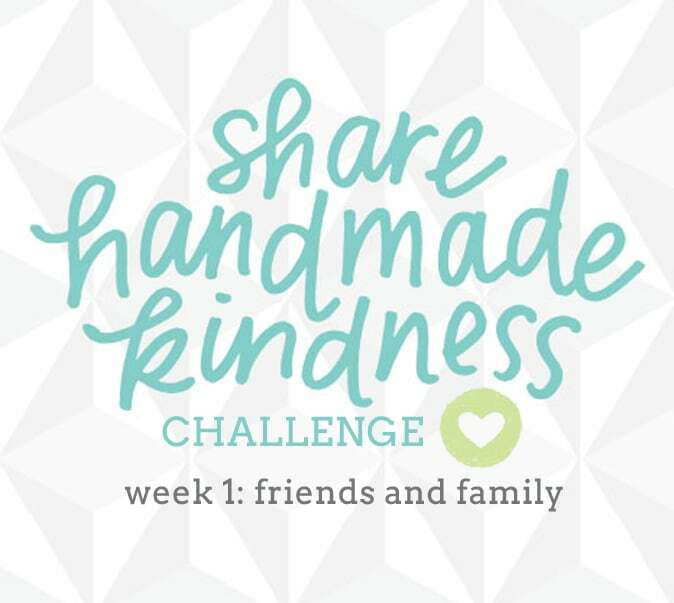 So happy to be playing along in the share handmade kindness challenge over at Jennifer McGuire's blog. Are you joining in too? Today I have two cards to share - both made with the Lawn Fawn Stitched Leaves die. I made these as part of the Share Handmade Kindness challenge over at Jennifer McGuire's blog. I plan to send them to my friends and family to bring a little kindness their way. On the first one, I used the Lawn Fawn woodgrain notecard as my card base. I thought it would go nicely with the grouping of leaves cut from some fall colored scraps I had. The sentiment is from the Sweater Weather stamp set. I added a fun twine bow for some texture and dimension. 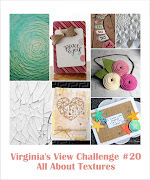 I am also entering this card in the Virginia's View challenge where the theme is texture. 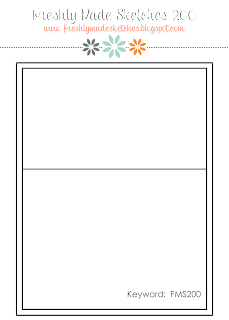 The second card uses the same stitched leaves and sentiment. The card base is Neenah desert storm and the patterned paper is My Minds Eye. Thanks for stopping by! 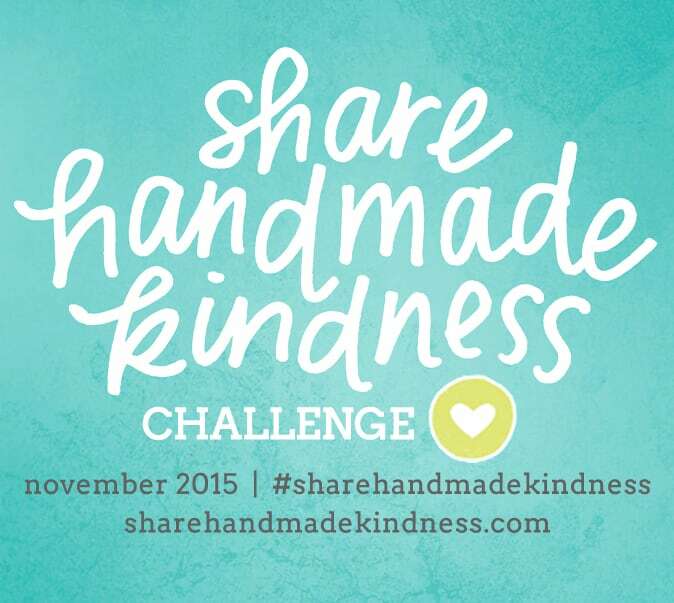 Are you joining the share handmade kindness challenge? It is easy, fun and rewarding! Sorry I've been MIA for a while, life has been pretty crazy around here and I just haven't found the time to craft. But now that Halloween is almost here, I was determined to make some cute little goodie bags! I used the Lawn Fawn goodie bag die and the adorable Doodlebug 6 X 6 paper pad, ghouls and goodies to make these. I attached cute embellishments to some mini clothes pins and added tags or pumpkin bells to some of them. Now they are just waiting to be filled with candy and given out to my co-workers! This spider is a doodlebug sticker from the same collection. The witches hat is a older lifestyle crafts die cut. The little ghost is a memory box die cut, and the pumpkin bells are from Michaels. 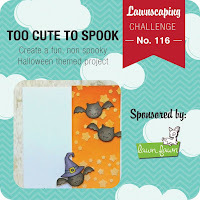 I am linking this up to the current Lawnscaping Challenge where the theme is "too cute to spook"
Thanks for stopping in! I hope to post more regularly again soon. 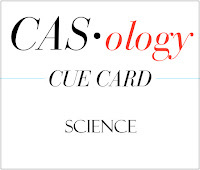 Today I am honored to be the guest designer over at CASology! The cue word this week is going to be a fun one - I'm so excited to see what you guys come up with!! My card uses the fun 'Great Chemistry' set from Paper Smooches. So many great images to choose from! I used the two different beakers and colored the liquid with my copics. The odd number of items help to balance the scene, and I added a hand drawn border to contain it even more. This one layer card is 4 inches square. 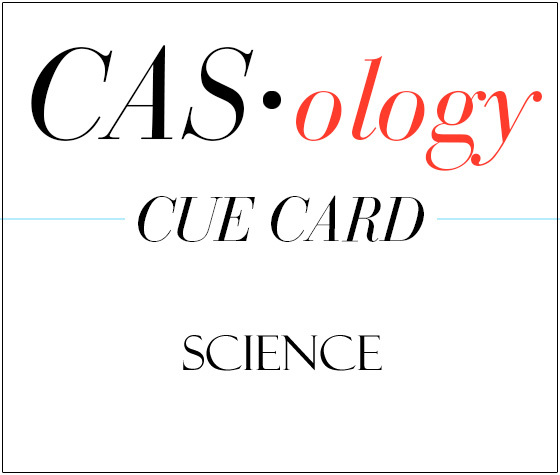 Thanks to the CASology team for having me as guest designer this week! Hope you guys have fun creating something 'sciencey ' too! Today I am helping to celebrate Tonya Jastad's birthday!! You may know Tonya from her blog The Heart Desires. 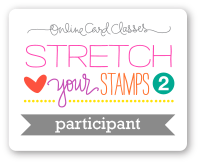 Tonya is part of the crafty group that meets about once a month to stamp, create and have fun! And a lot of the fun is due to Tonya!! This girl is a crack up; she has me in stitches most of the day! She is also very sweet, talented, supportive and I am glad to call her my friend! So, Tonya, I hope your birthday brings you everything your heart desires!!! My card for Tonya is made with Bohemian Garden from the Essentials by Ellen line. I stamped them with my new ombre inks from HA. They are so pretty in the varying shades. The sentiment is PTI, and I added some Pretty Pink Posh sequins to finish it off. 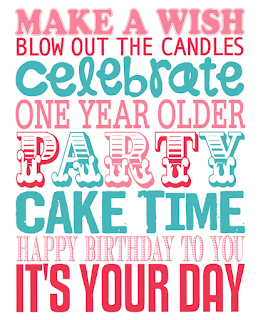 The other girls from the group are celebrating too - be sure to stop by their blogs and see what they have created for Tonya, and then pop over to The Heart Desires and wish the birthday girl a happy day! I am sharing a card I made for the latest CASology challenge where the cue card is UMBRELLA. My mom had bought this cute umbrella die a while back, and when I was over for a visit, I cut some out to take home. I have had them sitting in my stash and now I'm happy to finally put them to use! The rain drops are a Savvy stamp and the sentiment is Paper Smooches. 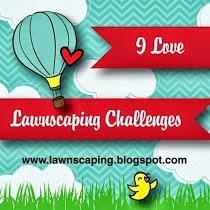 I am sharing a last minute entry to the MUSE challenge this week. I saw Joan's lovely card earlier this week and knew right away what I wanted to do to copy her card. It just took me this long to finally have some time to make it! Her stamp by Taylored Expressions has lots of different sayings in a variety of fonts, and I immediately thought of this Hero Arts Blackboard thank you stamp that I have. I inked up my stamp with the new ombre ink pad in tide pool to navy colors. The picture doesn't do it justice - it is so pretty in real life. (I think I waited to late in the day to take the picture, and the sun was too low!) I mounted it on a quick card panel from Reverse Confetti with those fun big polka dots. Thanks Joan for being a wonderful MUSE! I had fun copying your card!! And since this is the first time I have used my new ombre ink, I am also linking up to Darnell's NBUS challenge! Well, it's that time of year again - the kids are off to school! This year my kids are back at the same school which means getting both of them dressed and fed and ready and out the door at the same time! I used my very first Reverse Confetti goodies to create these little clipboards (EEK so cute!!) with notes attached. I die cut the posted note confetti cut from some kraft paper and the cute little clip from some silver paper to make it look more realistic. I stamped the sentiments from the coordinating posted note stamp set onto some PTI paper that is lined to look like school paper. I only glued the paper at the top, under the clip, so it would be able to lift up at the bottom - just like a real clipboard! I also used their quick card panels for the backgrounds. So easy!! 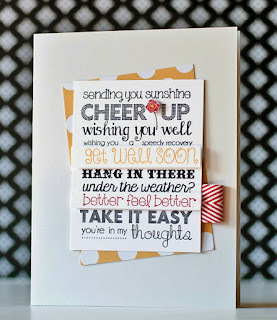 And I just love all the sentiments in this posted note set - perfect for so many different occasions. I'm sure my kids will be finding more of these in their lunches throughout the year! I used the cover plate - horizontal stripes and added some distress inks in cracked pistachio and mowed lawn. Then I stamped and die cut the flowers from Bitty Bouquets and tucked them into the stripes. I used my new HA ombre ink pad in pink to red to get some multi color flowers. I also used Memento Luxe ink in lilac posies for one of the flowers. The sentiment is from the same Bitty Bouquets set. A black and white twine bow finishes it off. I am joining in the fun over at PTI where they are having their annual Stamp - a - faire! It's a day dedicated to stamping fun with challenges along the way and this year's theme is Project Runway! I used the rustic wreath die and cut several from white card stock. Then I heat embossed in white the coordinating stamp. My sentiment is embossed in silver and is from the wet paint set. I rounded the corners to soften the card and compliment the wreath. It was fun to create an all white card - I hope I have some time to play along with the other challenges as well! Are you playing along?? All the details can be found here. Today I am sharing a fun summer card I made for the celebration over at Freshly Made Sketches. They are having a great challenge with some wonderful sponsors to help celebrate their 200th sketch! I used the Avery Elle's pineapple stamp and added some watercolor splashes. The summertime stamp is from Impress. This was easy peasy - but oh so fun! Thanks for stopping by today! Have you joined in the fun over at FMS? Today's card is one I made for my husband after we got back from our vacation to Yellowstone. We brought our camper and had a great time camping at so many campsites along the way! I wanted to thank him for such a wonderful vacation and let him know how much fun we all had. I think the kids will remember this trip for a long time! 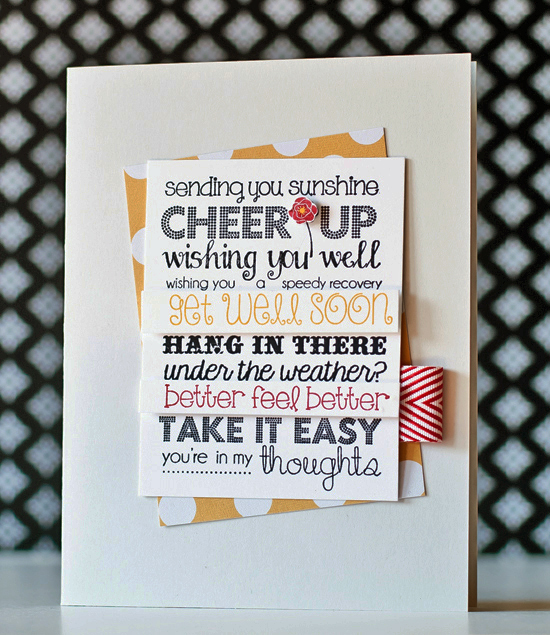 Today I am sharing a card I made for my Mother-in-law, who recently had surgery on her leg after she took a tumble. She is recovering nicely, but it is always fun to receive happy mail in your mailbox - and this seemed like the perfect occasion! I used a new to me set of dies from Julie Ebersole and Ellen Hutson - Wild Garden. These flower dies are so much fun to mix and match together. I pulled some scraps of colored cardstock out of my scrap bin, and just started cutting. Then I played around with which colors/shapes I liked best and this is what I came up with. The sentiment is from HA. I hope it brings a smile to her face! Since I had cut so many pieces to play with, I went ahead and made a second card with some additional pieces. This time I used only one type of flower and leaf for a more cohesive look. I thought the light purple rose complimented the pale blue note card nicely. The white embossed sentiment is from PTI. Today is Amy Tsuruta's Birthday!! Of course you know all about Amy and her wealth of inspiration from her blog Tsuruta Designs. But I am honored to know her IRL and call her my friend. She is one of the nicest, most sincere people you will ever meet. She hosts fun crafty get-togethers at her house for those of us who live close, and we thought it would be fun to surprise her with this little blog hop for her birthday! Amy and I met at our local stamp store at a class taught by Julie Ebersole, so I thought it would be fitting to use a stamp designed by Julie for Amy's card today. The Mondo Magnolia is just so beautiful!! I love how MONDO it is and how it fills up a card to create a focal point. I used my new Gansai Tambi watercolors to color it in. Added mint green stripe paper to the side, and matching green splatters for some additional interest. The sentiment is a combo of Paper Smooches and Hero Arts. 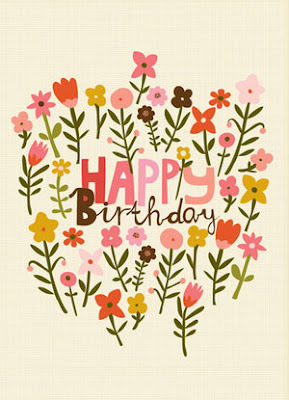 I hope you have a wonderful Birthday my friend! I'm so glad that you are in my life. 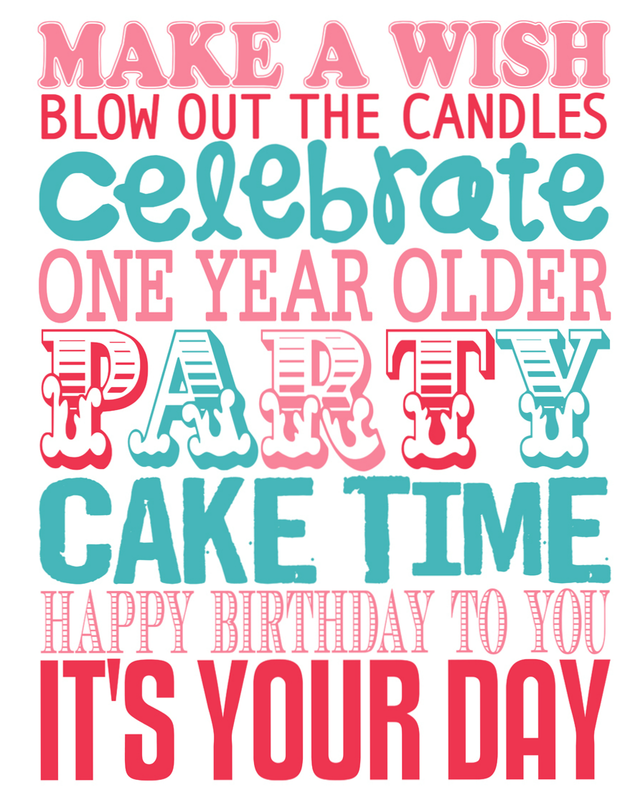 Enjoy the hop and don't forget to stop by Amy's blog and give her some Birthday love! Well - its been a while!! How are you? I am back from my family vacation to Yellowstone National Park! We had such a great time, it was amazing! The scenery is just so beautiful there and we were able to see some wildlife up close (but not too close!). Our first stop was at the Lewis and Clark Caverns in Montana. This place was so amazing with all the beautiful formations inside the HUGE caverns! It took 1 1/2 hours to go through the whole thing! My family in front of some hot springs in Yellowstone. One of the many beautiful waterfalls in the park! It was mating season for the bison, and this guy wasn't going to let his little lady get away! He followed her everywhere and made some oh so romantic grunting noises to woo her!! This guy was just hanging out by the side of the road. Nothing seemed to bother him! Old Faithful was just amazing! It was my son's favorite of the whole trip! This little cutie was a resident of the campground we stayed at. He would scurry out of his hole every morning to greet us! My kids getting sworn in as Junior Rangers at Yellowstone. They had to fill out a book full of puzzles and questions and swear to protect the natural environment. Thanks for stopping by and catching up with me! Hope you have all been well. Happy 4th of July to all my American friends out there. I hope you are having a wonderful day celebrating the birthday of our great country! We are headed to the little parade in our town and then some BBQ later in the afternoon. Whatever you are doing to celebrate - stay safe! I have a fun and easy card to share with you today. I used the PTI cover plate stars and used the inlaid diecutting technique. I love that the pieces fit in just like a puzzle.